“I had a moment shortly after I’d graduated from Uni, sitting in one of Cumbria’s finest pubs, The Golden Rule in Ambleside, when I realised I cared more about real ale and [proper] pubs than I did much of the content of my degree,” says Michael going on to explain that it would take another year before fate heard the same call he heard in the pub that day. The brewery is a family business and Michael’s worked there since the start, mostly with his Dad, but with help from his Mum and siblings when they have time. 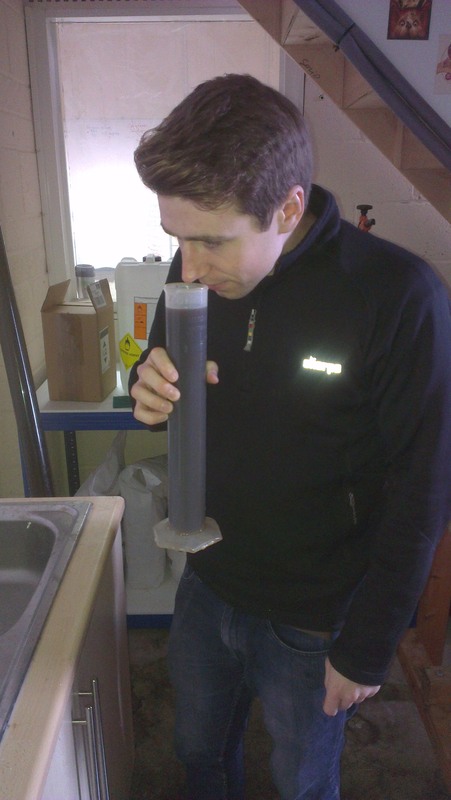 In common with many other Kent brewers he gets swept up with the buzz around green hop beer. “People get really excited about it, which permeates all the way through Kent’s ale community,” he says. Michael Meaney cooking up some beer! As with cooking brewing requires recipes. Green hop brews are much like cooking with fresh herbs instead of dried ones and thought needs to be given to how that might alter the flavour of a finished beer. “When I design green hop beers I try and keep the malt in a supporting role,” says Michael. The first of Mad Cat’s green hop brews is a version of their spring special beer which was called Oat-rageous: Oat Pale Ale. Michael explains that oats help form a ‘full bodied backbone’ for the hops and adding a decent amount of Vienna malt boosts the malt character to help balance the acidity and spiciness of the hops. “The oats are a softener of the spicy character of EKG, but help enhance the earthy, floral tones,” he says. Their second beer is the ‘second generation’ of last year’s Rye Pale Ale. “I tweaked this recipe quite a lot [because] the dryness of the rye malt was totally overwhelming last year. Some people loved the lip-smacking nature of the beer, but others complained of feeling dehydrated after every sip. Look out for Mad Cat’s green hop brews in the same places you’ll find its regular range – including The Long Pond micropub, Eltham; Kipps Alehouse, Folkstone and various other places all along the A2. They’ll post details of other places to sup their green hop ale on their Facebook page when they’ve delivered the beer. 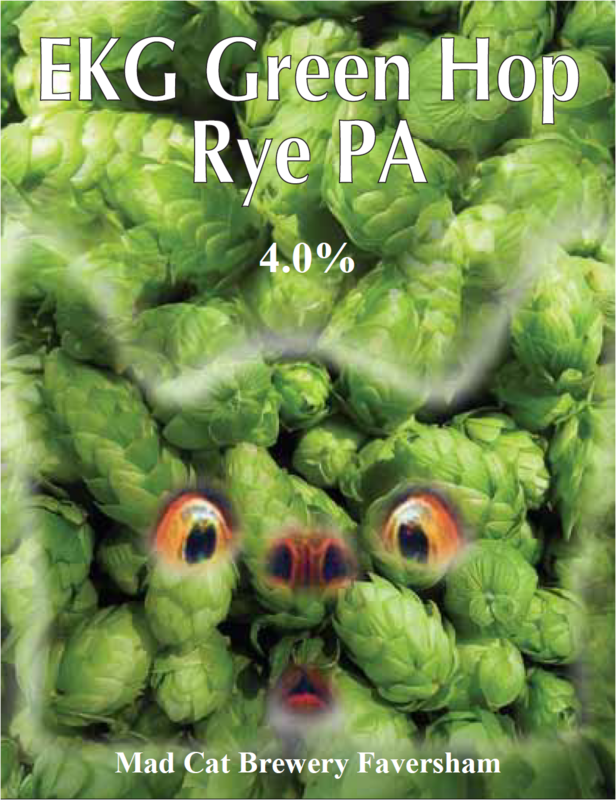 Find the full 2015 Kent Green Hop Beer List here. The Fortnight gets underway at Canterbury Food & Drink Festival tomorrow Friday 25th Sept – where we’ll have a bigger, better tent, green hopped meats (for you to eat!) and more beer than ever.